You never stop learning! And we always say that the best answer is: I don’t know. This is what I replied to our friend Sara Jenkins, when she asked me whether it is true that some bottarga sold in America is made in Sardegna from mullets fished in Florida. So, I asked the expert, our expert, Mario Manca, the president of the Fishermen Cooperative in the Cabras Ponds, which makes the mullet bottarga Gustiamo carries. 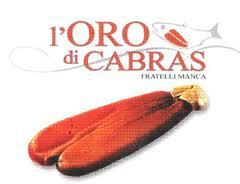 Gustiamo’s bottarga is called Oro di Cabras. 1. the waters in Florida may be polluted and there is no way to determine whether the fish was contaminated, until you open the finished bottarga. When that happens, the bottarga smells and tastes of petrol. 2 the second problem is that the “Commercianti” work the egg sacks using industrial methods, ie they dry the bottarga in big, fast ovens over 4-5 days (compared to the natural drying of the traditional method used by Oro di Cabras, which takes 30 days – left). 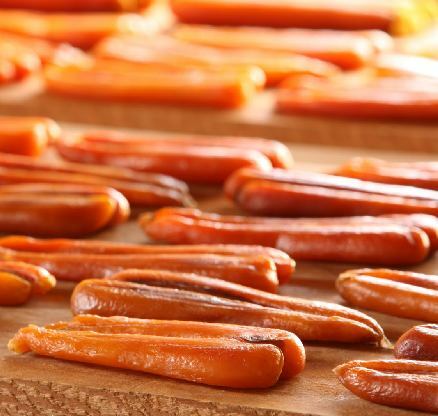 By doing so, the bottarga is not fully and homogenously dried and it only looses 20% of its weight (compared to the loss of 50% of the weight with the artisanal method used by Oro di Cabras). I then asked Mario, does this “Commercianti” bottarga cost less? No, he says, it costs almost the same. Go figure!!! Previous Post Pasta Martelli in America, Only with Gustiamo!!! I think most food can be a beauty by the bite kind, as long it’s taken the proper way and the right amount or proportions. Healthy lifestyle contributes a lot too in a person’s physical appearance.